Sends a check for $150 to keep a student at the school for a year. She says that this is a special donation and that it might not be repeated again. 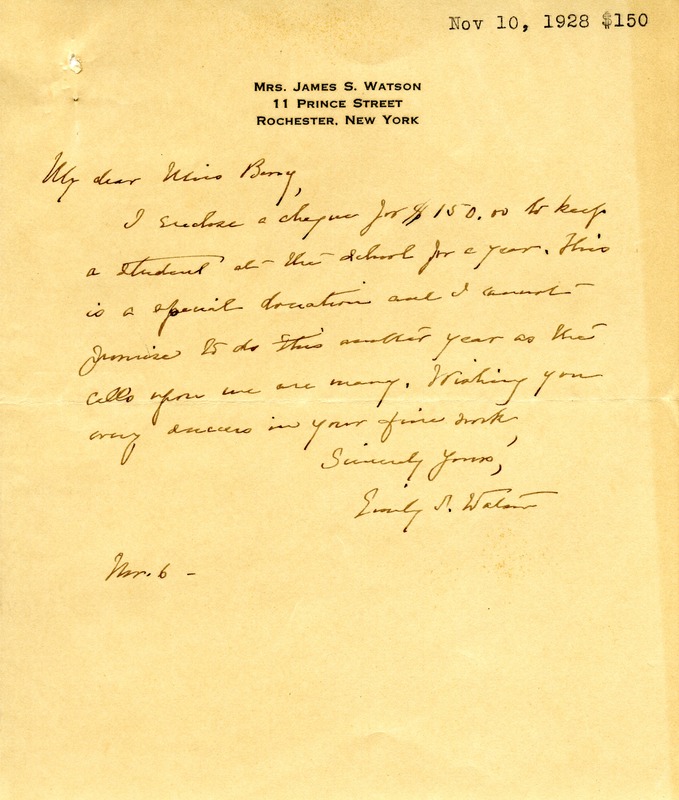 Mrs. Emily S Watson, “Letter from Emily Watson to Martha Berry.” Martha Berry Digital Archive. Eds. Schlitz, Stephanie A., Christy Snider, Avery Gossett, et al. Mount Berry: Berry College, 2012. accessed April 24, 2019, https://mbda.berry.edu/items/show/9240.